This stunning canvas features the Water Dragon artwork by the amazing Anne Stokes. The canvas is 25x19cm in size. Canvas comes wrapped in plastic. Stay dry in style with this beautiful umbrella designed by the world famous Anne Stokes and produced.. 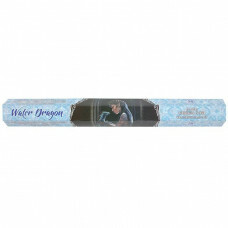 Inspired by the wonderful work of Anne Stokes, this Water Dragon Incense creates the feeling of bein.. This stunning PVC Handbag features the amazing Water Dragon artwork by Anne Stokes on a striking len..